China’s move toward an undersea observation network appears to be progressing. This week, Chinese state media reported that the central government had approved a plan to build a massive underwater observation system that would cover the East China Sea and South China Sea, both home to maritime disputes involving China. The progress on the initiative, which has long been mulled, signals Beijing’s growing presence in and multifaceted control of contested maritime spaces in the Asia-Pacific. Over the past few years, China’s growing assertiveness in the East and South China Seas – where it has conflicting claims with Japan, Taiwan, Vietnam, the Philippines, Malaysia, and Brunei – has sparked concern both in the region and around the world (See: “Will China Change its South China Sea Approach?”). Though much of the attention has been on China’s artificial islands in the South China Sea, Beijing has in fact invested in various forms of military and civilian infrastructure in the maritime domain that could help it fortify its presence and legitimize its control – from runways to weather forecasting and early warning systems – thereby blurring the line between these two realms (See: “What’s Behind China’s New South China Sea Tsunami Warning Center?”). The idea of a Chinese undersea observation system itself has been years in the making. But it made the headlines earlier this year when state media reported that a “long-term observation network” would be built with the help of the Chinese Academy of Sciences’ Institute of Acoustics and Tongji University in Shanghai. 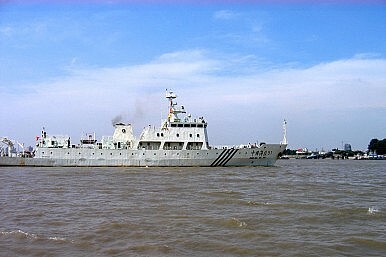 Though the real-time information that the network would generate about environmental conditions and seabed activities could be used for scientific research, like other “dual-use” infrastructure that Beijing has mulled, it could also clearly be utilized for more controversial activities such as resource exploration and even intelligence gathering. China’s progress toward such a system appears to be continuing. On Monday, the South China Morning Post quoted state broadcaster CCTV as saying that the government had signed off on the 2 billion yuan ($290 million) initiative, which would take about five years to build and implement. It added that data center will also be built in Shanghai to monitor and store the data collected from the undersea observation system. The report also unsurprisingly noted that the system would help China advance not only in scientific research and data prevention but also help protect national security, consistent with the blurring of the civilian and military realms. Zhou Huaiyang, a professor at the School of Marine and Earth Science at Tongji University, said that the collected data could be passed to other government departments to explore natural resources and protect China’s maritime interests and national security. Beware the Illusion of China-Philippines South China Sea BreakthroughsWhat’s Behind the New China-ASEAN Maritime Exercise?The Truth About China’s Indonesia South China Sea TantrumBeware the New China-Philippines South China Sea DealWill a China-ASEAN South China Sea Code of Conduct Really Matter?